One teaspoon of baking soda in a glass of water on an empty stomach twice a day has been part of my Morgellons Syndrome protocol for quite some time. In fact, a few have reported that it alone was all that was necessary, in addition to the King diet, to get their lives back from Morgellons fibers. It would be great if it worked for everyone that way, but it doesn't. Nevertheless, for many reasons its an important thing to do. However, since baking soda is a source of sodium, it's important to watch your blood pressure. 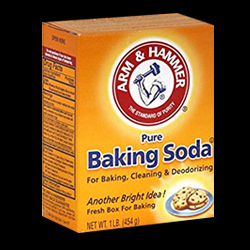 Sandra, our coach, sent me this Youtube video today about the many many uses of baking soda. And the good news is how inexpensive it is. Some of the internal applications use coconut and vinegar. Both are fine for Morgellons Syndrome, however, not on the diet for Collembola (spring tails).